Hourly rate $13-16/hour with great room for ADVANCEMENT! Health/dental insurance, short-term disability, Employee Dining Program @ 8 Fearless Restaurants, career growth! 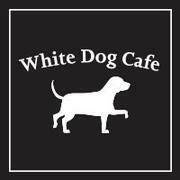 White Dog Cafe has brought its unusual blend of award-winning contemporary American cuisine, civic engagement & environmental sustainability to the Main Line.